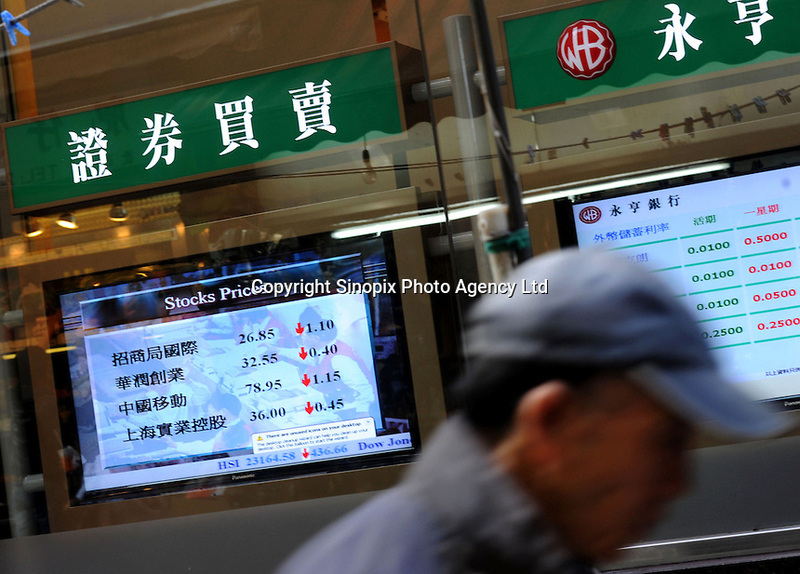 A passerby walks by Wing Hang Bank where a television screen indicates the stock prices .of the day and other relevant informations such as foreign currencies deposit rates, Hong Kong, China. Hong Kong has a mature and active foreign exchange market, the development of which has been stimulated by the absence of exchange controls and it's favorable time zone location. Hong Kong was the world's sixth largest foreign exchange market in terms of turnover..